Comprehensive oral care has been always essential to parents. The demand for quality soothers, teethers and oral care products is ever growing. With a wide-ranging portfolio of trendy products from award-winning industry leaders, you can now select high quality baby items for your clients. Baby Brands Direct stocks leading and sought-after brands like NUK, Philips Avent, MAM, Tommee Tippee, Closer to Nature and Dr Brown's. 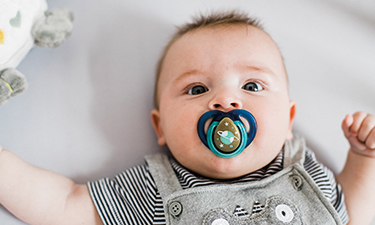 In our catalogue you can find a variety of soothers starting from birth to 18 months, ranging from silicone to latex materials, standard to orthodontic shaped, breathable shields, and even soother handles that are completely BPA free. You can view a vast array of different colours, patterns and items that are not found in a standard store. We believe in adding value for our customers through constant research and competitive offerings. Future projections indicate that design will continue playing a key role in parents’ buying behaviour. That is why we will carry on presenting you up-to do date and exclusive oral hygiene items at wholesale prices. Baby Brands Direct is a nursery distributor focused on offering retailers effective and affordable soothers and teethers for play and to help the baby's gums. You can ensure the perfect start of life and we can ensure you with free to use and professionally organised products descriptions and images. Global trends have moved production into cute, innovative, fun and yet practical oral care products.Our company understands that oral products are must have essentials in early oral hygiene as much as a sanitizer as much as a comforter. Parents enjoy functional and ergonomic designs; babies enjoy the fun in the routine. Baby Brands Direct enjoys stable and loyal relationships with our suppliers. Our clients enjoy it all!